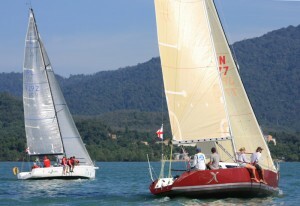 Aimed to nurture new and young talents in sailing. This year’s event will be held from 13th -4th February. These young sailors were exposed to a lot of valuable experiences as they have sailed in numerous sailing conditions in Langkawi. The valuable experience and important lesson will help them excel at the international youth competition. Malaysia as a multiracial country provides an opportunity for other races to celebrate harmoniously as Chinese usher to their new year. The celebration marks another year of a prosperous life. It is a must-attend event to strengthen unity among Malaysians. This year’s zodiac was the dog, one of the 12-year cycle of animals which appear in the Chinese zodiac related to the Chinese calendar. It’s back to 10 stages as this year’s Le Tour de Langkawi, Asia’s premier stage race, returns with the grueling climb up to Cameron Highlands serving as the main highlight in the 2.HC (hors category) race scheduled to commence in mid March. 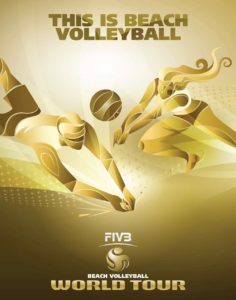 Malaysia will be hosting its second FIVB Beach Volleyball World Tour by the beach. With 32 top male and female beach volleyball players from over 16 countries competing for the country’s first title. Langkawi will be the only ASEAN nation to host the tournament and it is sanctioned by the Federation Internationale de Volleyball. 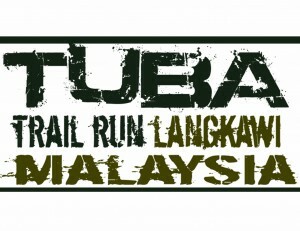 Due to an overwhelming respond from the local and international participants, The Tuba Trail Run is back for more with a new set of difficult challenging courses and trails. Set in a less explored wilderness of Tuba and Dayang Bunting Island, contestants are to pass through some of Langkawi natural wonders and amazing landscape while challenging their strength and stamina. The 2018 edition includes three categories namely, 4 kilometers, 15 kilometers and 30 kilometers routes. 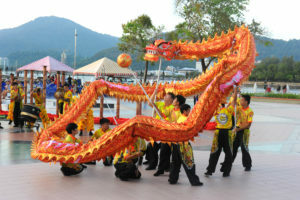 The Langkawi International Marching Band Competition (LIMBAC) will be held in Langkawi, as one of the musical events. Langkawi will host this 4 days of epic marching bands to international and local teams and is expected to attract spectators from inside and outside of Langkawi. The Lawn Bowls Mahsuri International Mixed Pair Competition will be held in Langkawi, as one of the sports events. Langkawi will host this 6 days of epic lawn bowls game to international and local teams and is expected to attract spectators from inside and outside of Langkawi. Langkawi’s first night run offering 5/10/21km distances on 14 July 2018. 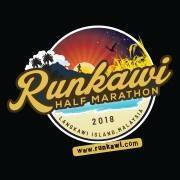 The Runkawi Half Marathon Night Run 2018 will be held in Langkawi, as one of the sports events. 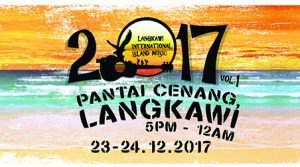 Langkawi will host this night running events to international and local teams and is expected to attract spectators from inside and outside of Langkawi. The second edition Langkawi Classic Car Show will be held at MIEC Hall. 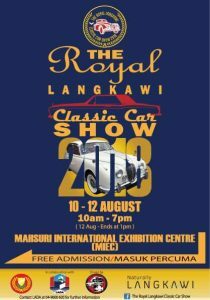 Bringing an international standard showcase such as this to Langkawi will definitely attract vintage and classic car enthusiasts around the world and it will eventually be highlighted in the international motoring calendar of event. The show will also feature Langkawi Flea market as a new product for antics and collectibles lovers. 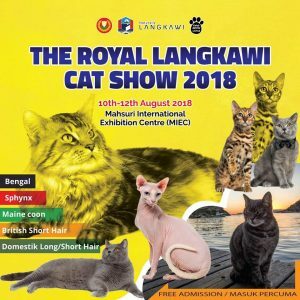 The first ever Langkawi Cat Show will be held at MIEC Hall. Bringing an showcase of the various species of cat, and attracts all cat lovers around the island. The Royal Langkawi Golf Festival will be held in Langkawi, as one of the sports events. Langkawi will host this 3 days of epic golf tournament to international and local teams and is expected to attract spectators from inside and outside of Langkawi. The Asian Junior Tennis ATF 14U Langkawi 2018 will be held in Langkawi, as one of the sports events. Langkawi will host this 6 days of epic tennis tournament to international and local teams and is expected to attract spectators from inside and outside of Langkawi. 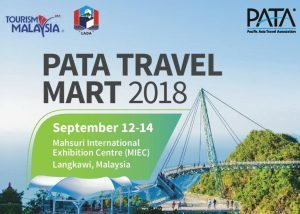 PATA Travel Mart (PTM) is Asia-Pacific’s worldwide travel trade exhibition featuring unparalleled networking and contracting opportunities to help travel and tourism organisations access decision makers, meet new clients, expand their networks, establish new relationships and consolidate existing business partnerships. Will be held in Mahsuri International Exhibition Centre, Langkawi. The Royal Langkawi International Bike Fest is initiated to be an important major festival within the Asian region. 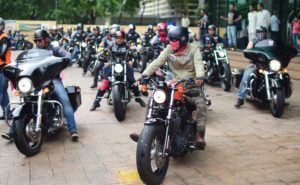 First of its kind, The Fest will continuously to be an annual biker’s event in Langkawi. This year the show will see more than bikers from Malaysia, Thailand, Indonesia and Singapore.An event that promotes awareness and aims to establish a venue for Malaysian and International riders to further interact and promote bike safety practices and professional handling of motorcycle as a sport and hobby.This programme will host almost all major bike brands & models in motorsport. It will be a platform that showcases bike accessories, new equipment, technical breakthroughs, international exhibitors, as well as a venue for international bikers to socialize and network. 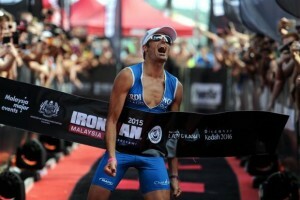 This event will be the 5th Ironman Malaysia in Langkawi to be organized since 2011. About 1,200 athletes will compete in the enduring of 3.8km swimming, 42km running and 182km cycling. Winners to be crowned a world a true Ironman and qualify among 40 athletes for the Ironman World Championship in Kailua Kona, Hawaii. This is among the toughest event on earth! The music festival is a public event in conjunction with 2019 countdown. It offers a high-end Blues music with the participating bands/artiste from various countries i.e. 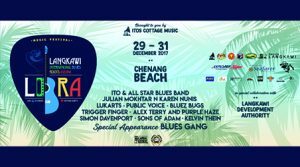 Australia, Iran, Philippines, England, Indonesia, Thailand and Singapore along with our Blues legend, Blues Gang and many other local bands/artiste.